MOSCOW, November 10. /TASS/. 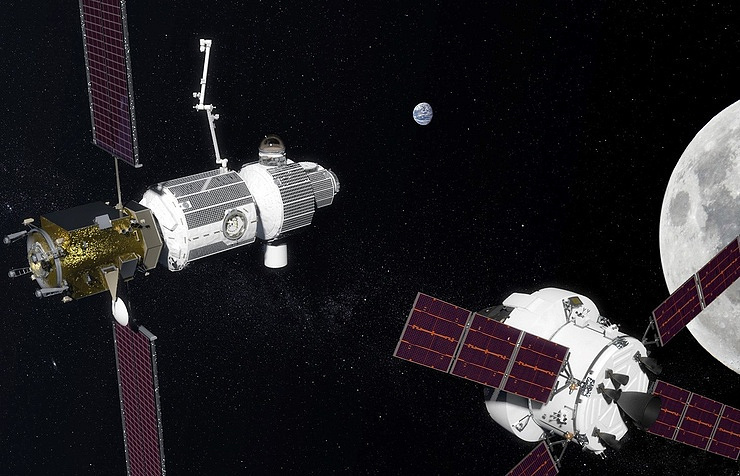 Russia’s Energiya Rocket and Space Corporation plans to cooperate with the US Boeing in manufacturing docking assemblies under the Deep Space Gateway (DSG) international program to create a near-Moon station, the company told TASS on Friday. "For several years now, the Energiya Rocket and Space Corporation and Boeing have been jointly considering various concepts of creating the near-Moon infrastructure to support their national agencies under the DSG program. Besides, our companies are expected to cooperate in the manufacture of docking assemblies for their use in the program of flights to the DSG and interact during the integration of DSG elements and the program as a whole," the press office said. Russia’s State Space Corporation Roscosmos and NASA signed a joint statement in Adelaide (Australia) in late September 2017 as part of the international astronautical congress, which reflects the partners’ intention to work jointly on implementing space exploration initiatives. The two sides intend to prepare creation of a crew-tended near-Moon station.